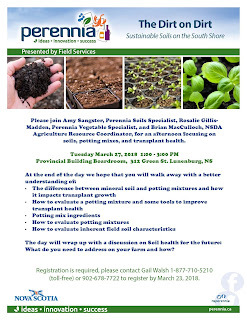 Please join Amy Sangster, Perennia Soils Specialist, Rosalie Gillis-Madden, Perennia Vegetable Specialist, and Brian MacCulloch, NSDA Agriculture Resource Coordinator, for an afternoon focusing on soils, potting mixes, and transplant health. 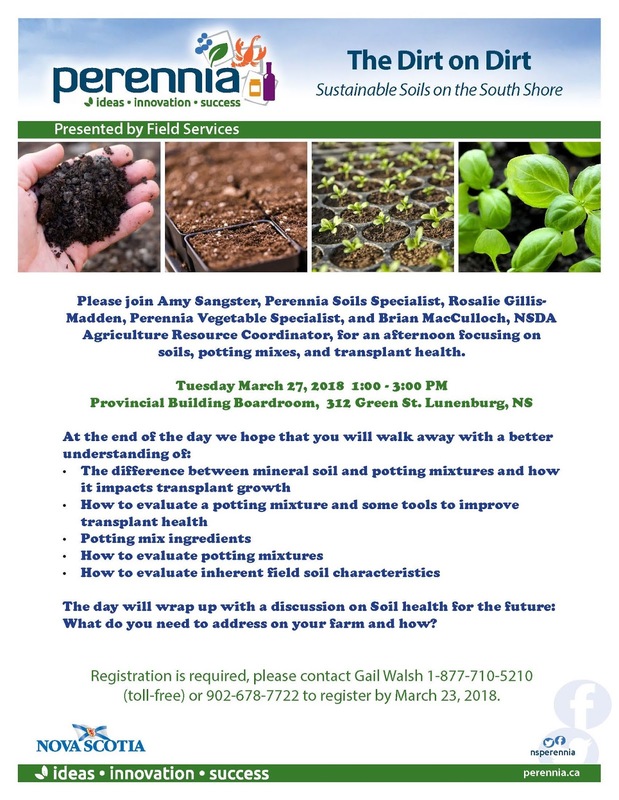 More details can be found on the Facebook event here. 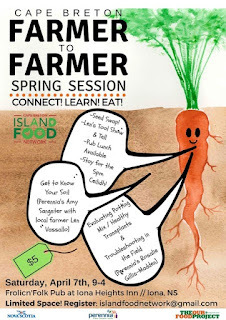 Registration is required, please contact Gail Walsh 1-877-710-5210 (toll-free) or 902-678-7722 to register by March 23, 2018.
will be joining the Island Food Network to deliver sessions on soils, potting mixes, and transplant health.